Consciousness and nostalgia in the Swipe Right age. The Cloud Versus Grand Unification Theory attempts to find poetry, or what Gwendolyn MacEwen once called “a single symmetry”, amid the chaos of 21st century life. A powerful catalogue of loss and human connection, it considers not only how our identities are formed by places and experiences rooted in childhood, but also by digital newsfeeds, Youtube and the “gospel of Spotify” which increasingly shape our modern lives. These poems trace in intimate detail the various ways the speaker is forced to confront such diverse topics as quantum physics, video arcades, mental illness, climate change, road rage, alcoholism, endangered species, and even a gigantic Noah’s Ark replica. It’s that voice that every poem in his fourth collection is chasing. Building on the generous work of John Koethe, Larry Levis and Ada Limon, Banks’s wildly expansive, often lyric, deeply accessible poems are brilliant meditations on what it means to be human in a brave new world of “cloud” computing and smart phones. Inspired by a group of herons resting near the author’s home towards the end of a long and difficult winter, this collection of poems employs the crane—the symbol of longevity, immortality, and good fortune in Asian folklore—as its dominant image. Questions such as How do we make sense of our lives? and What is the role of the imagination, art, and place in shaping our vision of the self and teaching us how to be human? are explored using unabashed lyricism and a wry, philosophical style.Winter Cranes demonstrates Chris Banks’s ability to be an uncompromising poet, determined to understand his experience of a world constantly changing around him. 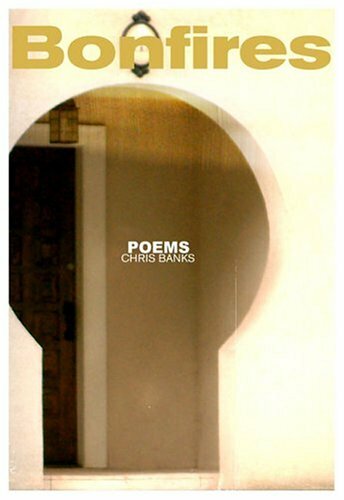 The Cold Panes of Surfaces is the moving second collection of poems from award-winning author Chris Banks. The Cold Panes of Surfaces is a remarkable collection, and a fitting follow-up to Banks’ award-winning first book Bonfires. Bringing Canadian poetry back to the achingly honest tradition of John Newlove and Bronwen Wallace, Chris Banks eschews linguistic showmanship, sketching in deft strokes the foreignness of things familiar.